Bosshart’s bouquets are very symmetrical and different colors are hardly superimposed. Each flower is given individually and speaks of the artist’s observation. Niche nicely complements the picture. 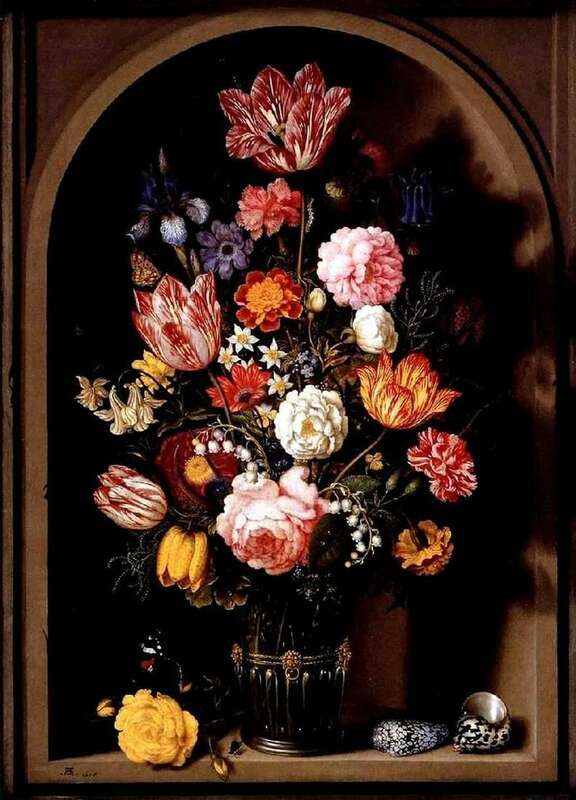 Description and meaning of the painting Bouquet of flowers in a vase by Ambrosius Bosshart.